The City of Ann Arbor in Michigan recently passed a ban on having couches on the front porches of homes – specifically targeting college neighborhoods. Why? According to city statistics cited by annarbor.com, there have been 373 fires since 2003 in multi-family residential dwellings in Ann Arbor. Of those, 21 percent “significantly involved” exterior upholstered furniture, either as the origin of the fire or in causing it to spread. And the Ann Arbor City Council unanimously approved the couch ban recently in response to a fire earlier this year that killed a 22-year-old UM student. Authorities believe the fire was exacerbated by a porch couch. City fire officials have been lobbying the City Council for several years to approve the ban, calling porch couches a well-documented fire hazard. Ann Arbor joins several other college towns with porch couch bans already in place, including East Lansing, Kalamazoo, Mount Pleasant, Ypsilanti, and Marquette in Michigan, as well as Columbus, Ohio, and Madison, Wisconsin. The District of Columbia does not have a ban on couches on the front porch and unlike Ann Arbor – where nearly all college neighborhood homes have front porches – city data does not show this trend here. 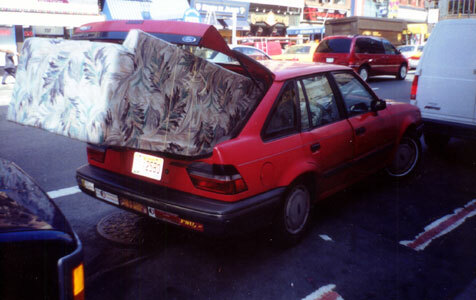 But we wanted to bring this issue to your attention and urge caution if you have a couch on the porch or even indoors. If you purchase a couch – new or used – check the label to see how fire retardant it is before buying.